Northern Ireland’s run of retail growth has come to an abrupt end with footfall figures for March showing a dramatic decline blamed firmly on the fears around Brexit. Northern Ireland Retail Consortium director Aodhán Connolly said the figures underlined the need for political representatives to work hard to bring about a good Brexit deal for the province. Data covering the five weeks from February 24 to March 30 shows that a run of five months of Footfall growth in the province Northern Ireland came to an end with a fall of 3.3%, the worst performing of all UK regions. Six of the ten regions saw year on year growth on the High Street in March, but Northern Ireland saw the steepest decline of 3.6%. Similar to High Streets, Northern Ireland was the worst performing region for Retail Parks, with -3.6% the worst for the region since September. “Our five-month run of continual footfall growth has come to an end, with drops across the high street, retail parks and shopping centres,” said Northern Ireland Retail Consortium director Aodhán Connolly. The fall was not totally unexpected, however, as Mr Connolly acknowledged, with wholly unexpected, however, with both consumer and business confidence “taking a knock” in recent months. 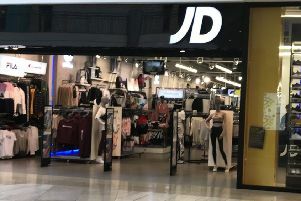 “There has been growing uncertainty across Northern Ireland as we approached the March 29 original Brexit deadline and that uncertainty is reflected in the fact that shoppers did not want to spend as much time in our retail destinations. “We now have a window of six months to prevent this Brexit anxiety from affecting our industry and shoppers again, but rather than breathing easy, our politicians and the EU must make a renewed effort to find a solution that prevents a no-deal hard Brexit. “But Brexit is not the only reason for our uncertainty. We have seen across-the-board rises in business and domestic rates in Northern Ireland which will affect spending power. While Brexit may be out of our hands locally, issues such as business rates are not and we need our politicians back working at Stormont now more than ever.